You likely will not know it, but hazard still remains after a fire has been put out in a structure building. Smoke particles attach themselves to furniture and electronic equipment and damage these and other items of value. And smoke and soot damage may lead to virus, fungi and bacteria, and have serious effects on the health of you, your family or perhaps your workforce. Immediate action is necessary to stop the ongoing damage as a result of the acidic properties within soot and smoke that can impact your building and personal belongings. Our field technicians will arrive at your property quickly to assess the damage and give you an estimate. We will dispatch a technician to your place immediately. Our IICRC (Institute of Inspection, Cleaning and Restoration Certification)-certified field-technicians have the skills to test materials and apply the restoration methods essential to return your property and the items to their pre-loss condition. We’ll work closely with you and your insurance provider to help with making sure the total cleanup and restoration procedure is as fast, safe and efficient as possible. Government Indoor Environmental Quality (IEQ) standards can overwhelm property owners who try to “do it themselves.” Legal liability and health safety is a wide concern. For results you can have trust in, hire a certified restoration firm like AllStates Restoration. 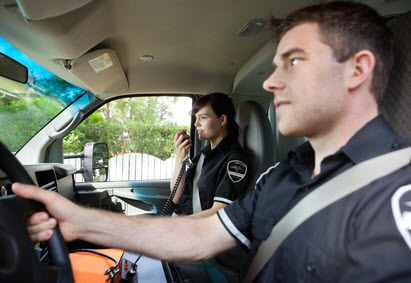 The field of smoke and fire restoration, clean up and recovery is an ever evolving specialty. AllStates Restoration stays up-to-date on all the latest technological advances in this area. The IICRC is a certification and standard-setting non-profit association. IICRC standards offer you an assurance of a cost-effective, safe and complete remediation service. Both our firm and our technicians are certified by the IICRC. Call us for a free Free Consultation and Evaluation. 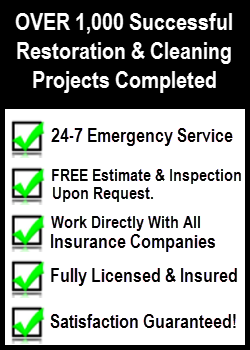 AllStates Restoration & Cleaning Services offers 24/7 emergency response for fire and water damage clean-up, every day of the year. Call today! To schedule your Free Fire Damage Repair Estimate, Call Today! 732-722-5211 or click here. We guarantee our Fire and Smoke Damage cleanup services exactly like each of our other cleaning services. If something isn’t completed to your full satisfaction simply give us a call and we will come back and resolve it. We will do a thorough inspection of your property to see exactly what should be done. We will analyze your property to discover the scope to which fire, smoke, soot, heat and moisture have damaged both construction materials and personal belongings and to inspect for health and safety problems. Just as we determine your property damage we’ll get a ‘battle plan’ in place and enact immediate pre-emptive actions and this reduces additional damage, restore property and secure your building. AllStates Restoration has state-of-the-art equipment to help mitigate fire and soot damage and restore your property. 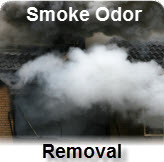 Like dry ice machines that remove soot from wood and thermal fogger which allow us to immediately address smoke odor and restore the air quality in your property. Our IICRC-certified technicians have the training, equipment and skill to effectively clean as well as restore your property up to IICRC code. We’ll restore damage caused by fire, smoke, ash, heat soot and water and document the project proses with ‘before’ and ‘after’ photos. And, we can even remove the water that was used to put out the fire and dry out your property and personal belongings. With Top-Notch Content Cleaning & Restoration, We specialize in the complete pack-out of the salvageable items in your home or work place. We want to ensure you not only get the inside of your property restored, but also the salvageable items in it, also. (Burnt or charred items are non-salvageable). This will include cleaning upholstery and furniture, office equipment and also business vital documents. Then we’ll store your personal belongings in a safe and secure, climate controlled environment until you’re ready for their return. 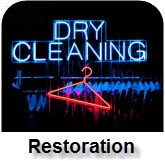 AllStates Restoration & Cleaning Services provide the Best Dry Cleaning Restoration, fabric restoration solution and service experience. We will make sure our expert restoration specialists will Help You! 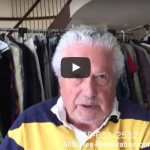 Do you know that there is a special dry cleaning restoration company that does fabric restoration and is known for saving time and money for both you and your insurance company and can help you with your insurance claim? Although the level of damage may vary from fire to fire, there are often damaged entry doors, broken windows and roof damaged and the possible exposure to the outside elements that remain after a fire. 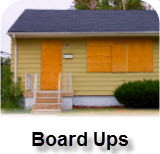 Subject to the circumstances, a board-up of your residence may be required to secure your home or business and prevent future damage from vandalism, burglary, trespassers or bad weather. The path to recovery after a fire can be difficult. It’s best to take the proper actions to ensure that the cleanup and restoration procedure goes as smoothly as possible. Here are a few tasks you should do after you have experienced fire or smoke damage to your property. Below are some useful fire-related links that may be of interest to you. To schedule Fire and Smoke Damage cleanup appointment, call 732-722-5211 or click here.